Rangeley, Maine is a hub of outdoor adventure — from skiing at Saddleback Mountain to watersports on it’s chain of pristine pine-bordered lakes. But with miles of scenic trails and byways, it’s also a great spot to take in some color on a satisfying run. 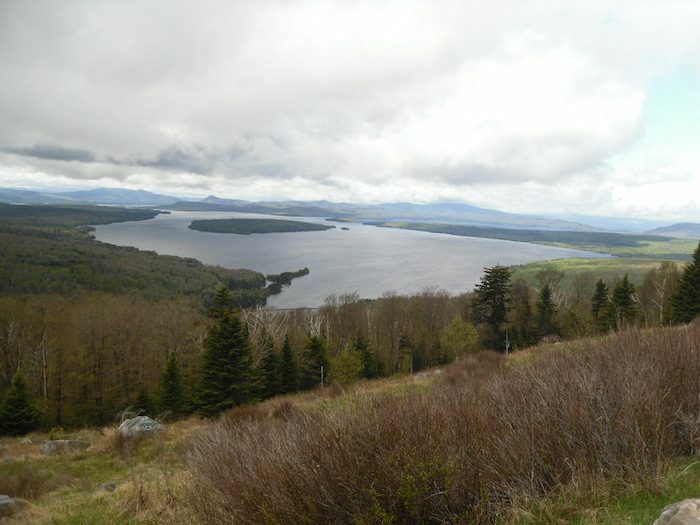 The Rangeley Chamber of Commerce says Route 16 (on the north side of the lake, and Route 17 (along the west side) are both beautiful roads for glimpsing scenery. One of the most popular attractions in the area is “Height of Land,” an impressive vista off of Route 17. This road is primarily used among motorists, but it does have an adequate gravel shoulder for runners to utilize. It’s a steep climb, but a glimpse of the color unfolding over the Rangeley Lakes is well worth the effort. Park at the Appalachian Trail Head just south of Height of Land. From there, you can do an out and back along Route 17, or take the AT out to Long Pond and loop back on Trail A, finishing your loop with a sprint to Height of Land. We’ve mapped out a 6.5 mile loop. If you prefer a more secluded location for your run, Rangeley Lake State Park and the Rangeley Lakes Trail Center have a vast network of paths to choose from.